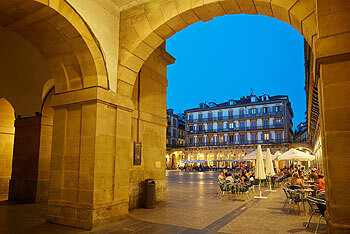 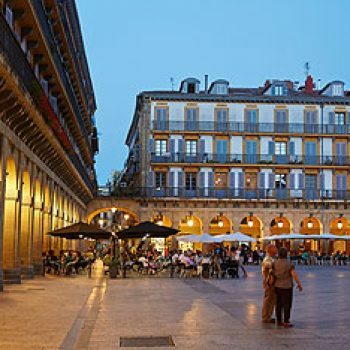 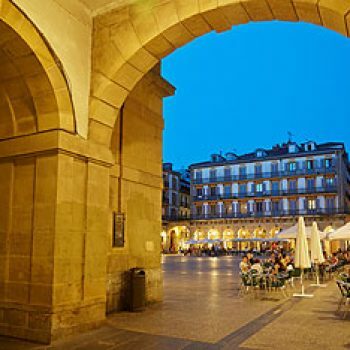 The Plaza Nueva of San Sebastián -today called the Plaza de la Constitución-, was constructed on the square built by Hércules Torrelli in 1723, destroyed by fire in 1813. 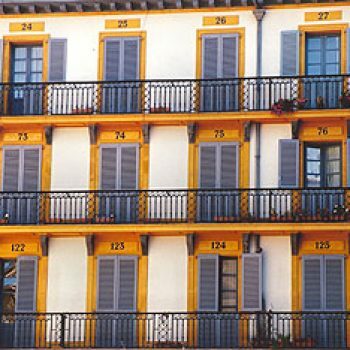 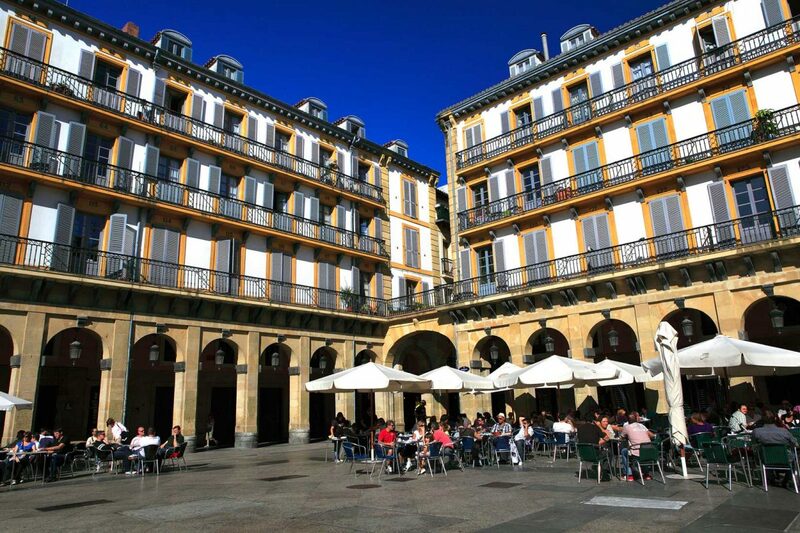 The original numbering of the balconies has been preserved, alluding to their use as boxes for distinguished guests during festive occasions such as bullfights, tickets for which were sold in City Hall. 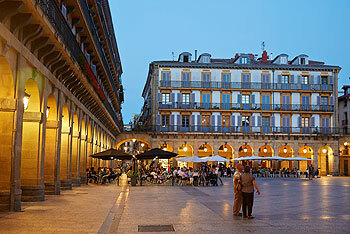 The ground floor is currently occupied by shops and bars but this does not spoil the overall effect. 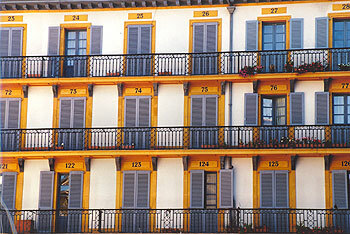 18th-century Baroque.